Without a doubt, one of the best new things to come from the WWE in the past few years is the professional wrestling stable, The New Day! This amazingly entertaining 3 person tag team, which follows the Freebirds rule naturally, is made up of Big E, Kofi Kingston and Xavier Woods. If you haven’t watched the WWE in a while then you should be if for no other reason to take in The New Day’s hilarious antics. They’re fantastic! So of course Funko had to give The New Day their very own Pop! vinyl figures. 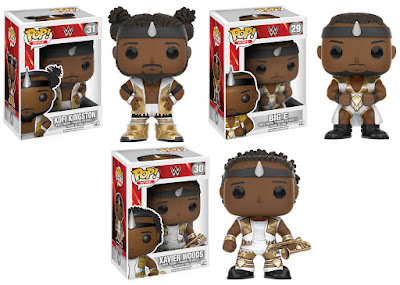 Thankfully, we got more than just that…we got three different sets of The New Day Pop! vinyl figures. Infused with unicorn magic, The New Day are available now as Pop! vinyl figures individually in their gold and white uniforms for $10.99 each here at Entertainment Earth. Each WWE figure stands 3.75” tall, features one point of articulation and come packaged in a full color displayable window box. 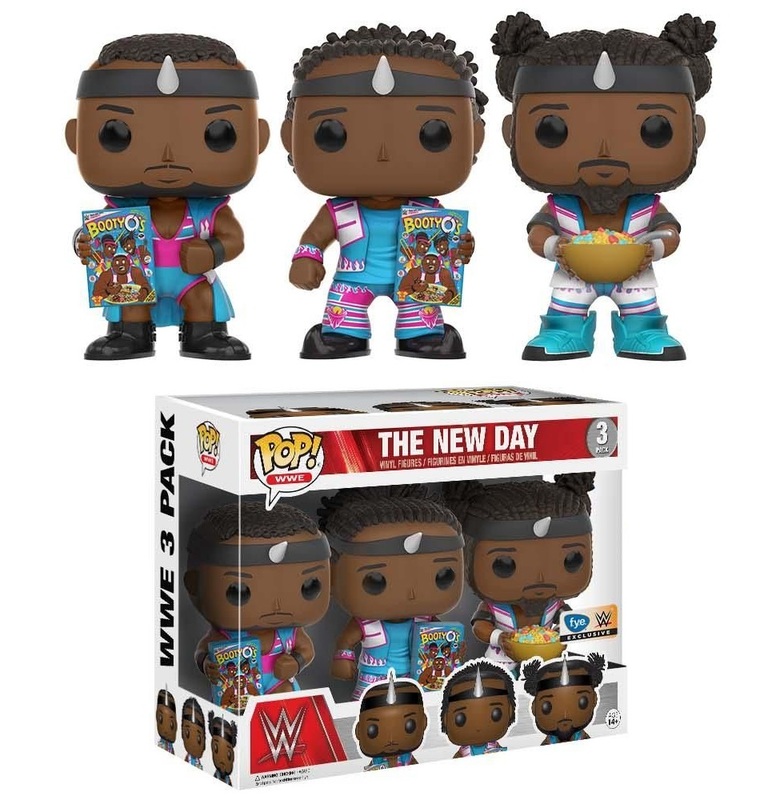 There’s also a Toys R Us Exclusive The New Day 3 Pack, featuring the wrestlers in their signature blue, white and pink uniforms, on sale for just $19.99 here. 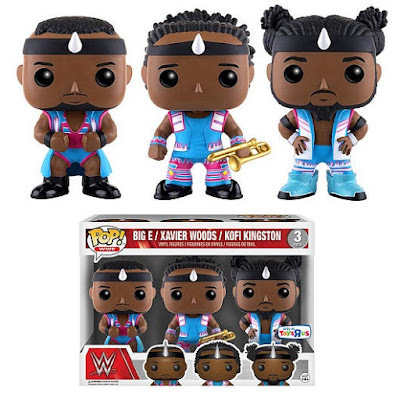 Last but not least, there’s this fantastic FYE Exclusive Booty O’s Edition The New Day 3 Pack featuring all three members eating Booty O’s cereal, which retails for $29.99 here.